Get an opportunity, Whitewater rafting on the World-Famous Pacuare River! Experience three exhilarating Costa Rica locations staying in secluded comfortable hotels on this unforgettable 8-day journey to Costa Rica. This is the perfect summer getaway to totally unplug and escape! We will take you from the lush rainforest landscapes of Arenal and Monteverde to the beautiful beaches of wildlife-rich Manuel Antonio, considered one of the best beaches in the world. Here enjoy several days to relax before heading back to San Jose and home. This trip can start any day of the summer (May through September), availability permitting, making it a convenient Saturday to Saturday trip. This is a great tour for families, groups of friends, and couples! On the summer trips, we try to plan activities for the mornings when the climate is the best (cooler and drier). Most summer days feature clear, fresh mornings followed by an hour or so of heavy rain from around noon to early afternoon. Then we often see the skies clear up again. Nighttime usually sees a return to rain, but this is while most travelers are comfortably in their hotels. Arrive in San Jose’s Juan Santamaría International Airport (SJO) anytime today. After clearing customs and immigration, proceed past the glass doors and meet the airport arrivals manager who will transfer you to your San José hotel tonight, the centrally located Casa Conde Hotel, in a standard suite. The rest of the day/evening is free. Day 2: Whitewater rafting on the World-Famous Pacuare River! Today expect an early start for an amazing day on the river! The Pacuare River is one of the best whitewater rivers in Latin America. While the Pacuare is particularly good for travelers with some previous rafting experience, no past rafting experience is required. For travelers not up for rafting, we can arrange a direct overland transfer to Arenal instead, just ask! The Pacuare is world famous for its sheer beauty. A true river gorge, it is flanked by steep, green walls. Here you’ll enjoy the feeling of total isolation from urban life and the realness of being connected with nature. You’ll see waterfalls cascade into the river from both sides as colorful, tropical birds fly right over your head. Amazing views of this virgin tropical rainforest appear before your eyes as you descend this pristine landscape. Wildlife is not uncommon, with sloths, toucans, parrots, coatis, blue morpho butterflies and colorful frogs routinely seen. The whitewater here is equally exciting. While not an overly challenging river, the Pacuare has a lot of rapids, providing tons of fun. The 18 mile run you’ll do includes 52 rapids. Few rivers in the world can offer you so many. Note: The minimum age for the Pacuare River rafting is 12 years. In case you are traveling with younger children or older travelers, you can run the milder Reventazon River, with the cost staying the same. Following an early breakfast at the hotel, you’ll transfer to fabulous Sky Trek. Sky Trek is a thrilling zip line circuit amidst lush rainforest situated in the steep landscapes of Arenal. Your tour starts with a ride in an open-air gondola up to the heights where you’ll be dropped off at an observation deck boasting fantastic views. From here, you’ll start descending the mountain via numerous zip line cables stretching across massive canyons and in-between treetops. Gorgeous views open up as you zip down the mountain. We consider this zip line the most exciting of its kind in the country! After descending the mountain, you’ll return to your hotel, leaving the afternoon free at leisure to enjoy more attractions in the area or relax at the hotel. This morning, enjoy wonderful views of Costa Rica’s storied landscapes on a unique jeep-boat-jeep transfer by way of Arenal Lake from Arenal to Monteverde. Cool, misty cloud forest and deep green foliage is what has made Monteverde a travel hotspot for years. This zone is home to a string of volcanoes, both active and dormant, plus beautiful national parks and diverse weather. On arrival, check in at El Monteverde Country Lodge. The rest of the day is at leisure to enjoy the hotel facilities or visit town, a village renowned for its cheeses and ice cream! This morning, enjoy a wonderful half-day guided hike in the magical Monteverde Cloud Forest Reserve. The Monteverde Cloud Forest Reserve is home to Costa Rica’s most well-preserved cloud forest. It is a cloud forest, not a rain forest, due to its elevation of 4,724 feet (1,440 meters) above sea level. Some of the best bird-watching can be done inside and outside the reserve. The Monteverde Reserve is one of the best places to see the resplendent quetzal, as it migrates to the lower portions of the park during mating season. The endangered three-wattled bellbird is another member of the 400 species of birds found here, including close to 30 species of hummingbirds. More than 100 species of mammals live in the park, including howler and capuchin monkeys, all five species of cats, deer, tapir and sloths. On your hike today, you’ll gradually walk until you reach the continental divide. From there, on clear days, one can see the horizon painted blue from the Pacific Ocean below you in the distance. You’ll return to the hotel after the hike; the rest of the afternoon and evening is free for you to relax or enjoy more of the area’s great attractions, which include a number of fascinating natural history exhibits, gardens, and more. Following breakfast this morning, transfer to the central Pacific coast, home of Manuel Antonio National Park. The Central Pacific region of Costa Rica is a narrow strip of coastal land that stretches from north of Jaco to south of Manual Antonio. Sandy beaches and protected wildlife are two primary draws to this area. The magnificent beaches, flanked by spectacular cliffs, create an awe-inspiring landscape; with its combination of ocean panorama and lush tropical vegetation, Costa Rica’s Central Pacific region has scenery unlike any other. Check in at the Villa Bosque Hotel, situated just outside the national park, staying in a standard room. 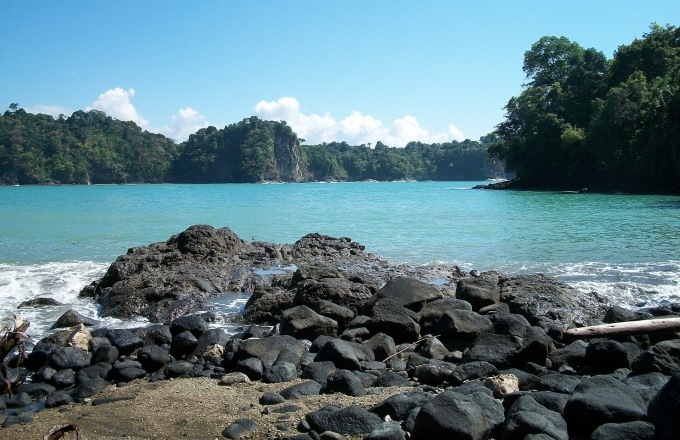 The rest of the day is at your leisure to enjoy Manuel Antonio’s beaches or simply relax at hotel. Please note that Manuel Antonio National Park is closed on Mondays. Day 7: Manuel Antonio Wildlife Tour! This morning, enjoy a fantastic Manuel Antonio National Park walking tour with an emphasis on wildlife. This national park is considered to be one of the most beautiful in Costa Rica and is host to the country’s most approachable animals in the wild. After your guide picks you up, drive a short distance to the entrance. Here you’ll hike into the park, crossing a creek to access the reserve, since this park is closed to vehicles. Once in the park, you’ll enjoy a guided nature walk along the park’s trails, allowing close-up observations of a number of classic Costa Rican animals, including several species of monkeys, sloths, iguanas, birds, and more. One of the trails rounds Cathedral Point, offering beautiful vistas of the rainforest and the sea. Once the morning walk is through, you’ll have the choice of returning to the hotel or lingering in the park. We recommend enjoying the rest of the day on the beach inside the park. Be sure to bring a picnic lunch (the hotel can help with a boxed lunch), a change of light clothing, bathing suit, beach towel, comfortable shoes (river sandals are fine), hat, sunscreen, binoculars, insect repellent and a camera. This morning, expect an early pick-up for your transfer back to San José and the airport. Be sure to plan for a late afternoon or evening flight home, otherwise we’d recommend adding a hotel night in San José, and departing San José on a new “Day 9.” If you add a night in San Jose, we can move your transfer from Manuel Antonio to the afternoon. All entrance fees, taxes, and support of the local office.